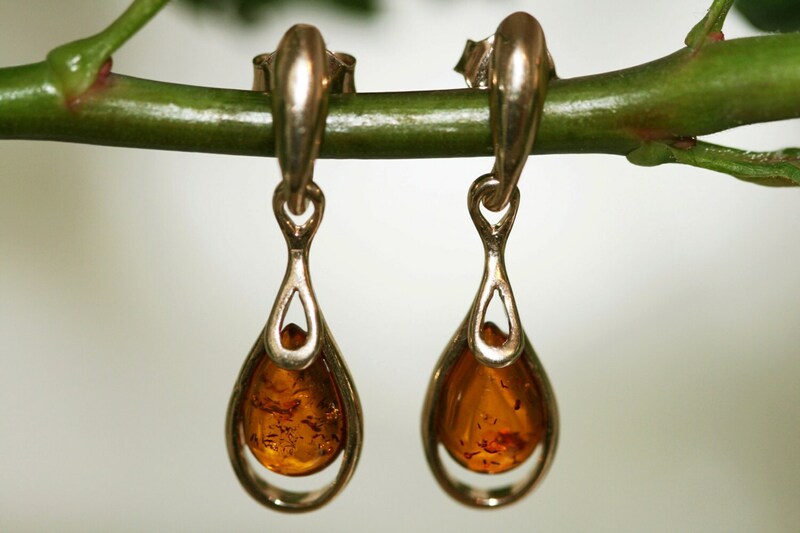 We are happy to present lovely earrings made of natural Baltic amber which has been lovely set in sterling silver and covered by 14 CT gold layer which is 6 microns thick. 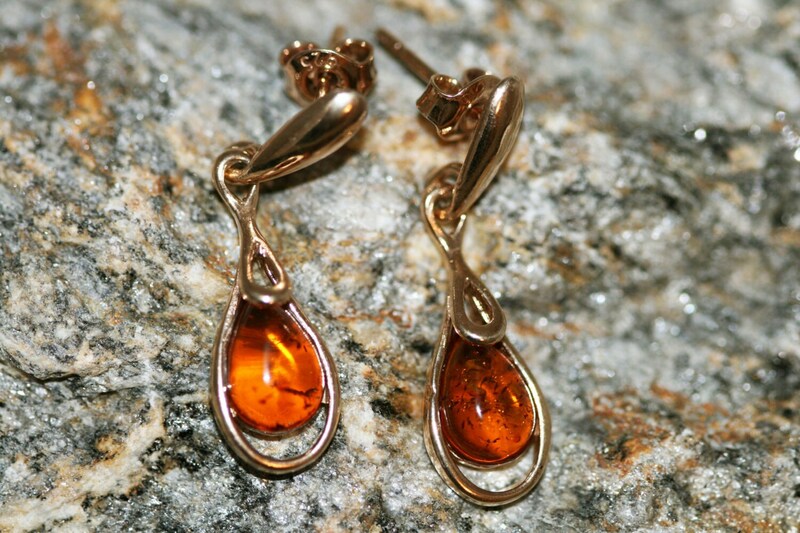 Cognac type of amber fitted in an elegant setting. This design perfectly complements so classic and modern sets. Perfect for every day use. 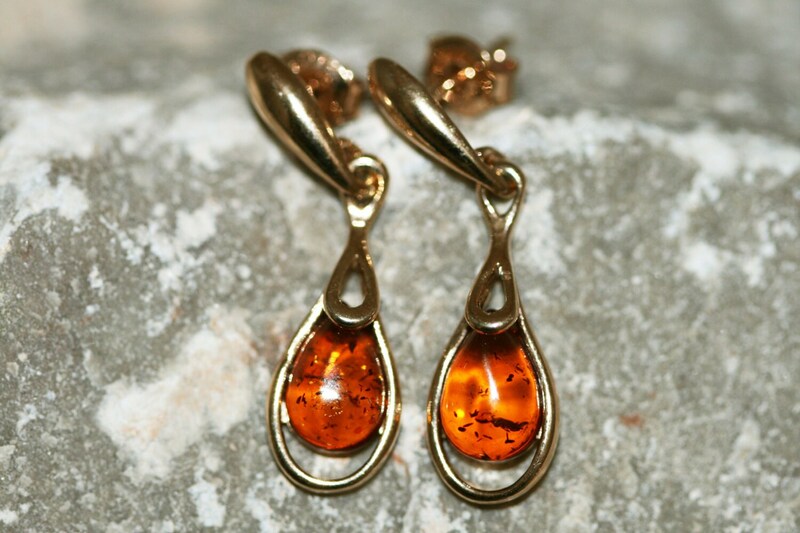 Size of the design: 27 mm length, 8 mm width.